Want to join the Woking Bustler team? 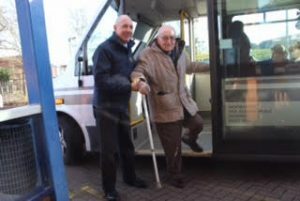 WCT is a not for profit organisation, which was setup by Woking Borough Council to provide transport for those within the community who have reduced mobility. By working for WCT, you will be helping to support social inclusion and wellbeing, for the young and old within our community. Thank you for your interest however we are currently not recruiting. Feel free to return to this page at any time. Specialist training is also provided as required. You will require a full UK driving licence with D1 category to be a community driver. Passenger Assistants are required to accompany and assist our special needs passengers during their transportation. Passenger Assistants typically work a split day of two to three hours in the morning, and two to three hours in the afternoon. Successful applicants will be subject to disclosure and barring checks. Why not join our team, and give something back to your community! Become a member of Woking Community Transport, registering is FREE!